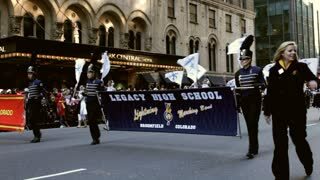 Rural High School Marching Band Parade 4K 1970.Fourth of July, American celebration for freedom in small rural town. 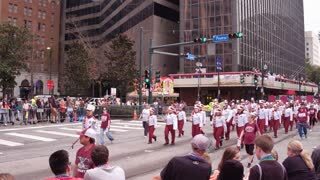 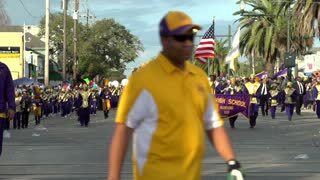 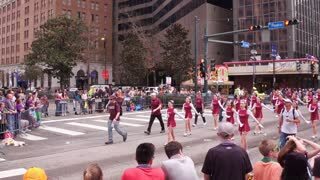 Parade reflects community values and family morals. 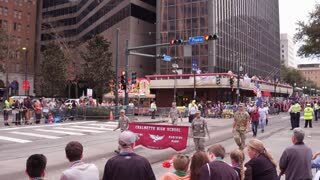 Patriotic display of flag, high school bands.